Whatman – Apex Chromatography Pvt. Ltd.
For generations, Whatman has earned a reputation for innovation and quality, and is a well-known global brand in separations technology. 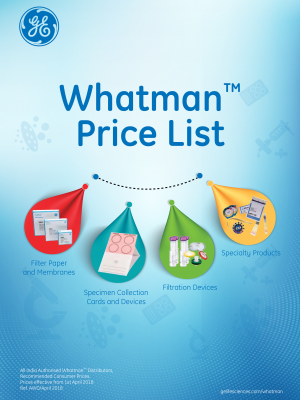 Since 2008, Whatman has continued in the tradition of innovative, high quality products as part of GE Healthcare Life Sciences. 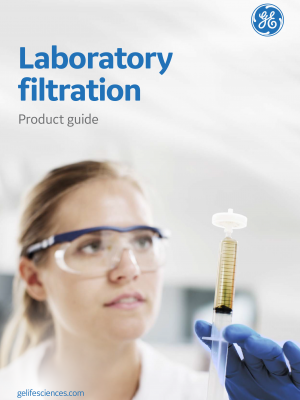 Laboratory filtration products: Filter papers, membrane filters, syringe filters, syringe less filters, microbiology, microplates, and capsule filters. Sample collection cards and kits: FTA™*, FTA™* Elute, and 903™* ranges. Blotting: Blotting membranes, blotting papers, and equipment. Components for lateral flow and flow-through assays: Membranes for immunoassays, conjugate release, blood separators, absorbents, and sample pads. General laboratory accessories: Extraction thimbles, weighing papers, test and chromatography papers, lens-cleaning tissue, and Benchkote papers. Click on the below files to look at the individual brochures! 2018 © Copyright Apex Chromatography Pvt. Ltd.